Reuters: Sri Lanka’s rupee, which is hovering near a record low after being floated by the central bank last week, will be brought to an acceptable level before too long, Finance Minister Ravi Karunanayake said on Wednesday. The rupee fell for a fourth straight session to 138.80/95 per dollar on Wednesday, 0.36 percent weaker than Tuesday’s close of 138.30/50 and near the record low of 139.00 it reached on Friday after being floated. “We will ensure that before too long it will be brought back to an acceptable level,” Karunanayake told Reuters in an interview, adding that a realignment is taking place after the currency was floated. He declined to give a fair value for the currency, which has fallen more than 5.5 percent this year. Currency dealers said the rupee is likely to slide further unless the central bank raises interest rates or the $78.6 billion economy sees strong dollar inflows soon. 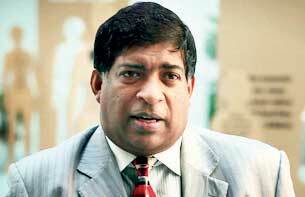 Karunanayake, however, said the government will push down interest rates. He also said the government elected in August will pass revenue proposals presented in the 2015 budget and a bill to raise the total treasury bill borrowing limit to 1.25 trillion rupees ($9.01 billion) from the current 850 billion rupees.